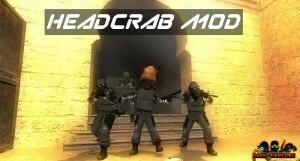 Headcrab Mod is a cooperative mod where a survivor squad of combines soldiers is attacked by a horde of headcrabs who is leaded by a big headcrab boss ! 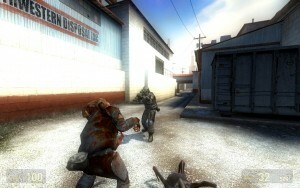 At any time, when your combines mates is attacked by an headcrab he could being zombifyed ! 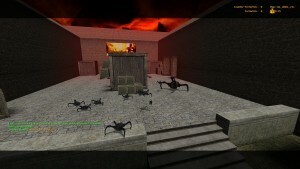 Fight against hordes of respawning headcrabs which will get progressively stronger / faster / jumpier the more u kill them.